Forget paper money and credit cards! That’s what Marc Jacobs said last weekend when they opened up the doors to the Daisy Perfume Pop Up Shop in New York City. Consumers could leave their wallets behind because the store was accepting a new type of payment. 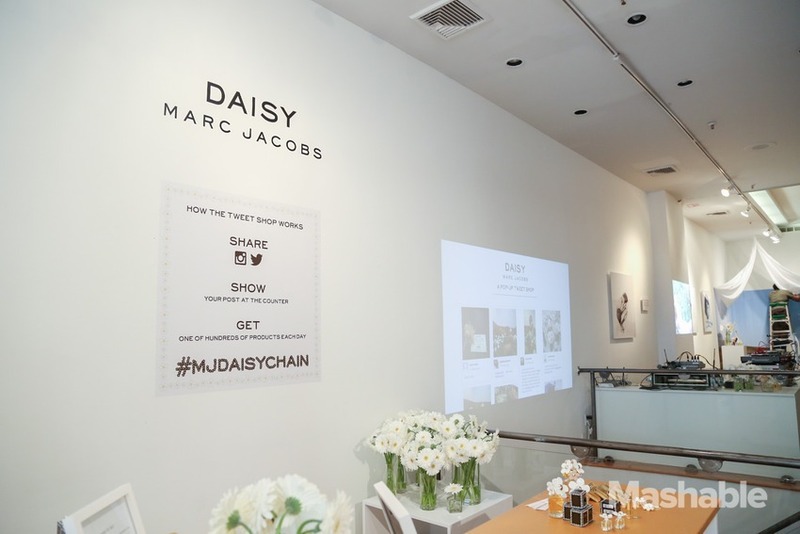 Customers exchanged posts on Facebook, Twitter or Instagram with the hashtag #MJDaisyChain in exchange for branded products like perfume, jewelry, and even handbags. The store (on 462 West Broadway) was only open to the public from Friday, Feb. 7 to Sunday, Feb. 9, which fittingly coincided with New York Fashion Week. The opening event including a stellar guest list, with stars like Anna Kendrick (Actress, Pitch Perfect), Meghan Markel (Actress, Suits), and Jamie Chung (Actress, Believe), to name a few. Daisy is one of Marc Jacobs’ most popular lines, and the brand is very active on Facebook and Twitter. Check out how they promoted the pop-up shop on the streets of NYC. But, why would a brand give away so much product for free? Well, by using social currency, the brand is gaining something that is extraordinarily valuable: word of mouth (WOM.) It’s such a crucial part of maintaining a successful brand that, in fact, 2 out of 3 marketers say it is actually more effective than traditional marketing. Marc Jacobs could have produced some commercials, put some print advertisements in a magazine, but instead, they created these pop-up shops that improved their social media impressions and garnered media attention from sites like Mashable, Forbes, and more. This idea of social currency, however, is not entirely new. 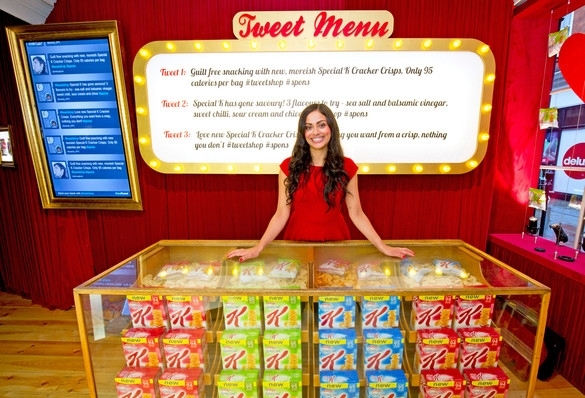 Kellogg’s opened up a Tweet Shop in London back in 2012 during Social Media Week, where consumers exchanged tweets for 100-calorie snacks! This gave consumers the chance to actually get their hands on the product and encouraged them to share their thoughts on the brand with family and friends. So, what is the future of social currency? While social currency is awesome, don’t expect it to replace actual money. After all, businesses need to make a profit. The examples here show that, for brands to try to use social currency to gain social media impression, they need to be well-established with loyal customers and a strong social media/online presence. The items that are given away need to be small and low-price, yet significant, and should only be available for a tweet for a limited amount of time, in order to spark a sense of exclusivity and urgency. 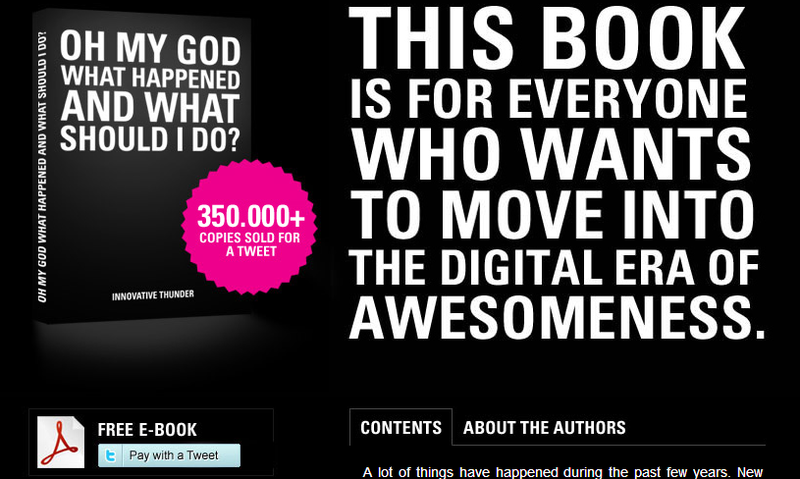 I expect we’ll see more of these one-time, short-term “free-for-a-share” campaigns from brands in the upcoming years.